This is a well loved and sailed 16m Schionning design built by Royce Stewart of Royal Fibreglassing. She is built of 20mm klegacell and grp on the hulls and decks. 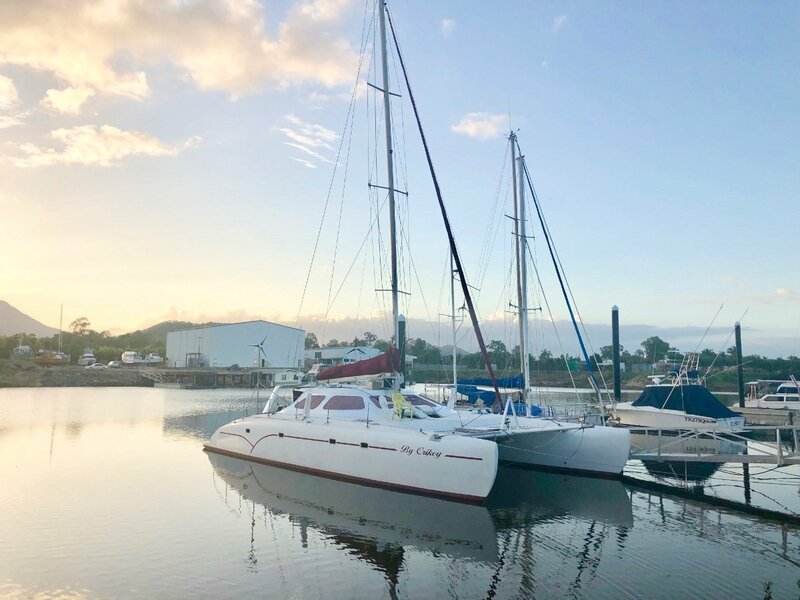 She has a 22m aluminium fractionally rigged mast. All rigging is dyform with outers replaced in 2016. All running rigging new in 2014. She has a main, genoa, and screecher. She has 4 cabins with 2 x kings and 2 x doubles, 2 heads with H+C water showers, loads of storage. 2 x Yanmar 30hp with sasil drives with low hours. Zodiac 3.8m RIB with 15hp Mercury. She is set up for extended stays sailing the coral sea. She is well priced to sell as the owner is moving overseas shortly.